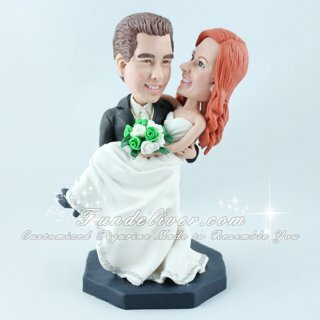 This is a completely handmade wedding cake topper ordered by one of our customers. They would like to have the same pose at this groom carrying bride cake topper, but with both of them smiling and looking at each other. They would also like the base color to be navy blue. The groom is in a black tux and white tie, shirt and vest. The bride is in a white, a-line, strapless dress. Their bouquet is white and green flowers and bride’s shoes are navy blue heels. 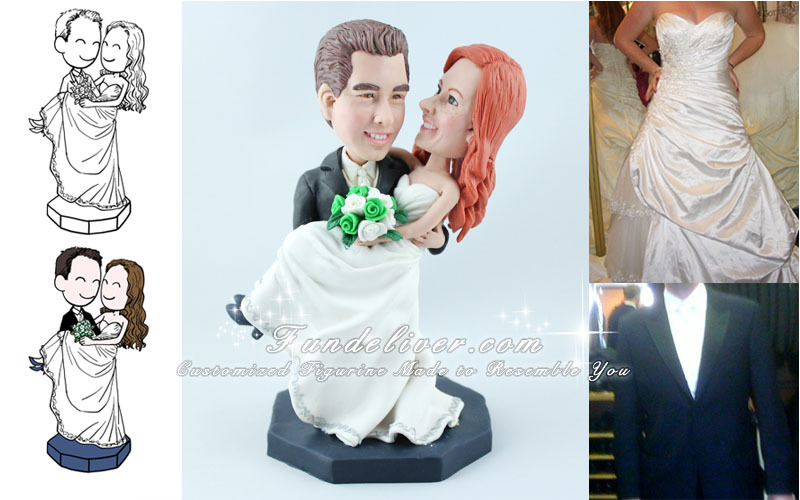 All these elements are handmade and handcrafted and definitely this handmade bride and groom wedding cake topper will add a special touch on your wedding.